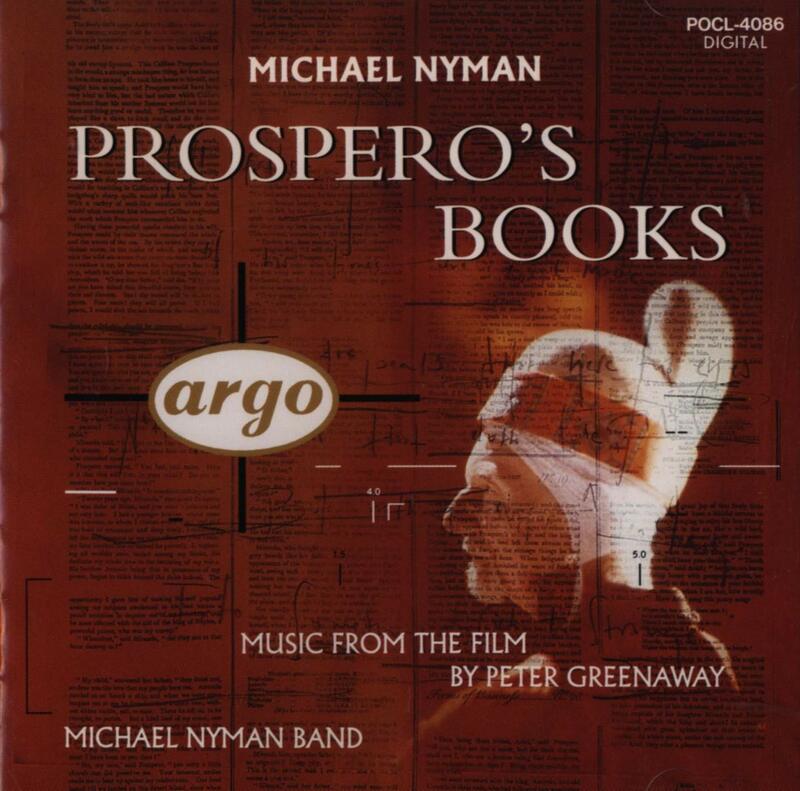 I shouldn’t like (and haven’t always liked) the music of Michael Nyman, because I don’t like repetitive minimalism when it turns sentimental and builds on predictable and saccharine harmonies – but I’ve enjoyed Prospero’s Books, the music he wrote for the Greenaway film. Sure, it’s easy listening, the harmonic underpinning harks to pop music. But, outside of the five songs of Ariel, the music is also, mostly, dynamic, dance-like and exciting and its slow movements aren’t TOO sentimental and saccharine (track 6, “Twelve years since”, sounds like the pastoral and brooding music of Vaughan Williams, and the wistful track 13, “The Reconciliation”, is even quite beautiful), Nyman’s processes of piling layer upon layer are interesting to follow, with elaborate stereo separation, there are a number of ear-catching timbral clashes, the five songs of Ariel, sung by Sarah Leonard in her very high registers (making the words almost unintelligible if you don’t read them – texts provided) and with a boyish timbre, are suggestive and mysterious. I’ve never seen the Greenaway film, but it can be viewed, in chunks, on YouTube. I watched the Wedding Scene, corresponding here to track 14, The Masque. It must be one of the most embarrassingly corny scene ever impressed on film. 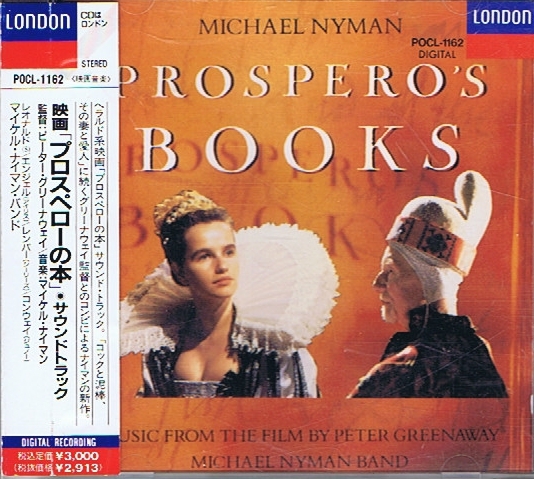 So it’s better to hear the music of Nyman in great CD sound and without the disturbance of the images. The concluding musical number is not devoid of sweep, and the three contrasting female voices, coming as they do from three different vocal traditions and techniques (Marie Angel operatic soprano, Ute Lemper cabaret/musical and no trace of German accent, and Deborah Conway rock) are quite beautiful. 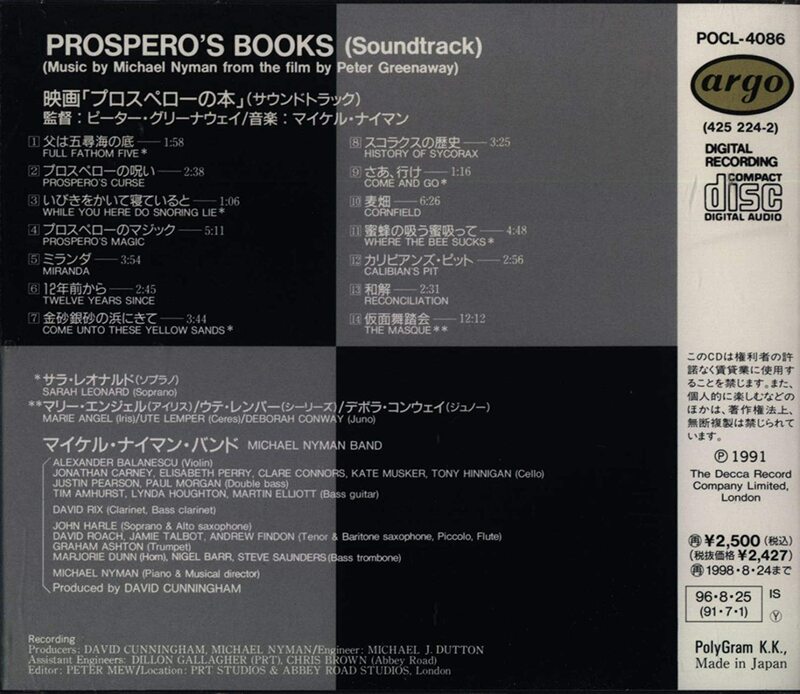 Since all three editions of this CD, Argo, Decca and London, have the same label number and barcde, you are likely to receive any if you buy from the usual online stores (since sellers list their CDs according to barcode). So, if the particular label has some importance to you, check with your seller. “Nyman has a problem, and it’s nothing to do with turning 50. It’s Peter Greenaway and all those movies. 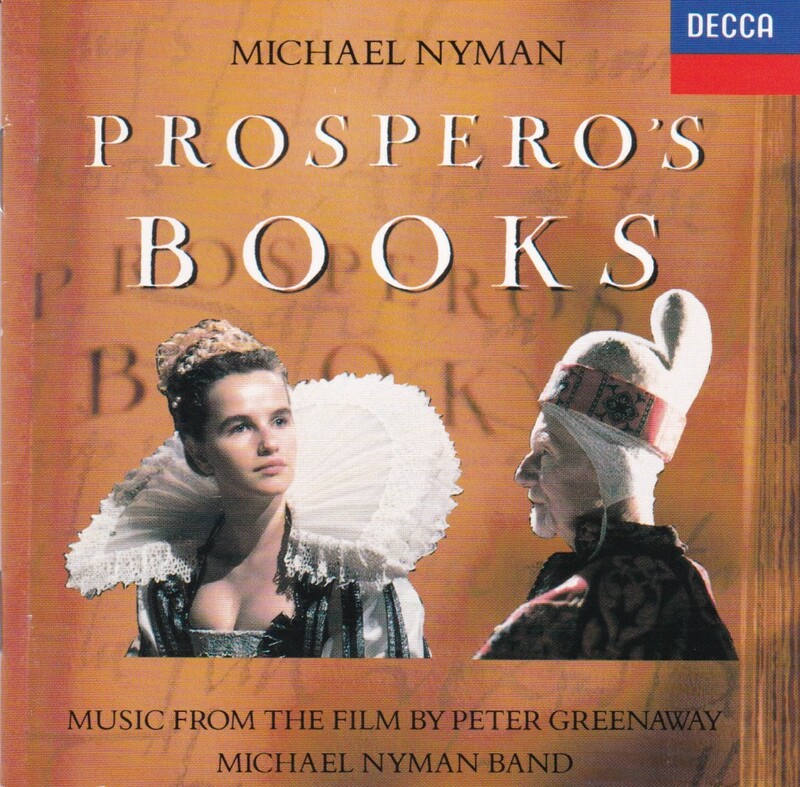 Mention Michael Nyman to most people and they will think Peter Greenaway. 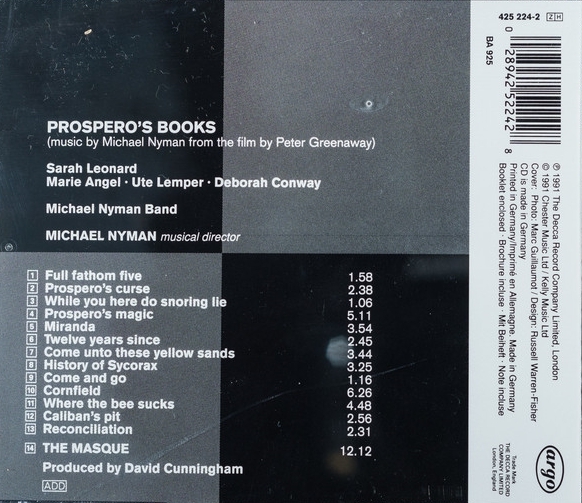 After all, for a decade, from The Draughtsman’s Contract to Prospero’s Books, Nyman provided the propulsively pounding scores that made the pair as much of a double-act as Mozart and Da Ponte or Gilbert & George. 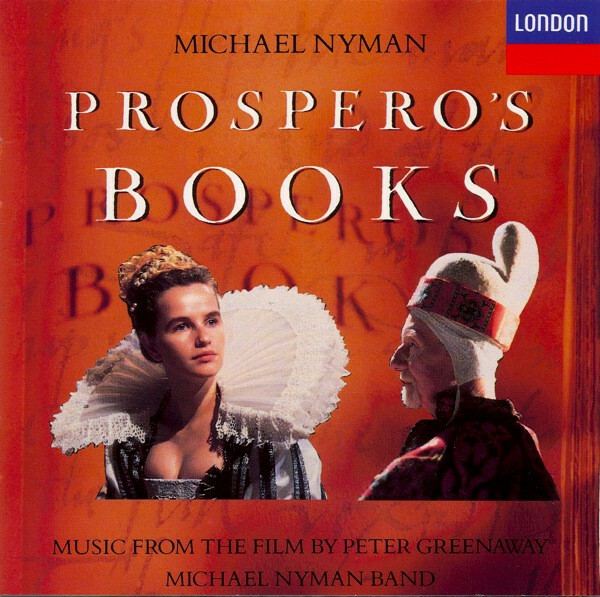 But mention Greenaway to Nyman’s face, and he will have none of it. ‘I’ve been talking about Greenaway for seemingly my whole bloody life,’ he explodes with exasperation. ‘And basically, I don’t want to talk about Greenaway because he never talks about me.’ True (just check the cuttings). For someone who didn’t want to talk about Greenaway, he’s not done badly. And he still has one shot left. ‘I was thinking about this in the taxi over here,’ he admits, ‘because I knew you were going to ask, and all I want to say is this – that his films have had far less influence on me than my music has had on him. My music works on its own – his images don’t. Take away my music and what have you got left?’ The Baby of Macon, I suggest – proof that people may not appreciate Nyman’s music when it’s there but they sure miss it when it isn’t. The real reason we’re here, though, is not to talk about Greenaway in particular, but about the tricky collaborations between composers and film-makers in general. 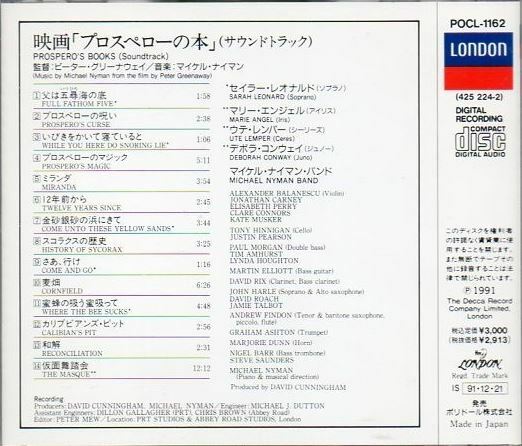 (Nyman will be talking more on the subject at a conference in London on Sunday.) Which brings us to The Piano, Jane Campion’s Cannes Film Festival prize-winner, which opened in London last month. Given that the film has a mute lead character who uses a piano as her chosen means of self-expression, the first and most surprising thing to be said about the film is just how little music there is in it. Disconcerted? That’s not what he’d have said to Peter Greenaway, I’ll wager. But then, Greenaway and Campion are clearly very different directors, with very different demands to make of their composers. As Nyman admits, he’s used to working on films which are ‘shot with such a sense of emptiness that the music has to be there just to cover what’s missing’. The source of the effect lies in the unique role Nyman’s music has in Holly Hunter’s portrayal of the mute piano-player. 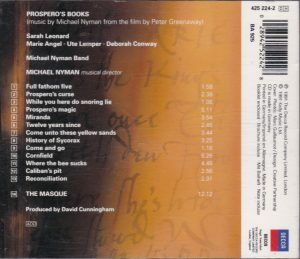 If Campion trespassed on Nyman’s territory, cutting and rearranging his score to suit her images, Nyman was in effect co-opted as co-writer. Only, where Campion had to put words into the speaking characters’ mouths, Nyman had to put notes beneath Holly Hunter’s silent fingers. It’s a classic case of music taking up where words leave off. 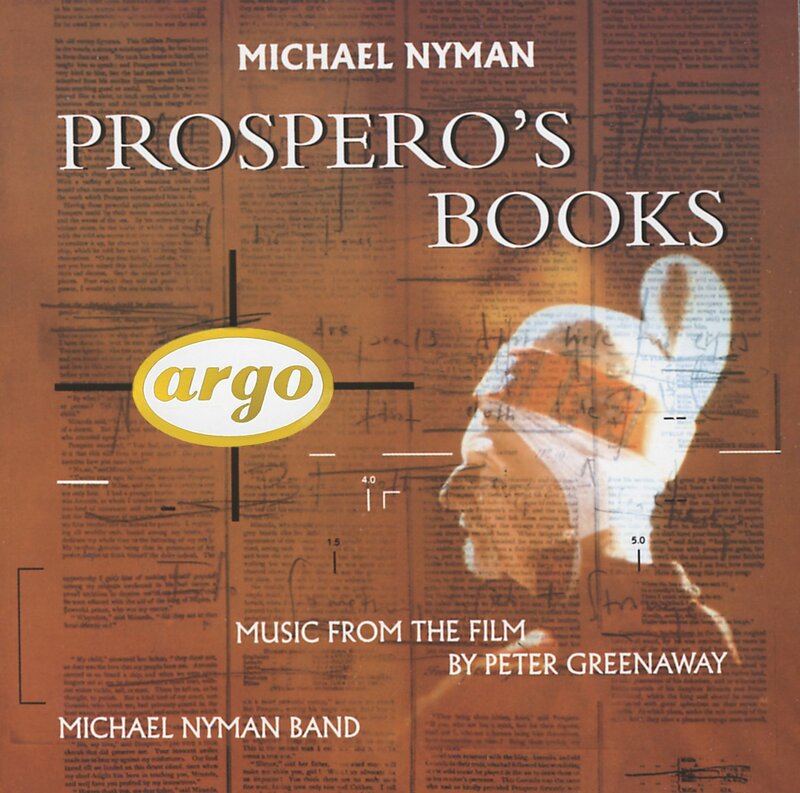 The fact is, Nyman finds himself caught in the classic trap of the commercially successful composer: while the classical music press dismisses him as a mere ‘film composer’, the cinema critics seem unable or unwilling to appraise him as a composer at all. The prospect of an Oscar nomination for The Piano can only make matters worse. Not that Nyman seriously expects to win – ‘because my music doesn’t do what American filmscores are expected to do’. But even a nomination would be enough, he says, ‘to open a few floodgates that would in turn ensure that those doors that are already closed on me would be even more firmly shut’. As he adds, with a wry laugh, it’s not exactly going to persuade the South Bank to commission a 50th birthday piece from him in March – let alone secure the opera commission that has eluded him for so long.